This story has been translated and edited from its original Spanish version. Behind the glamorous world of Las Vegas lights and entertainment, housekeeping workers are responsible for keeping the hotels and casinos sparkling clean 24 hours a day, seven days a week. 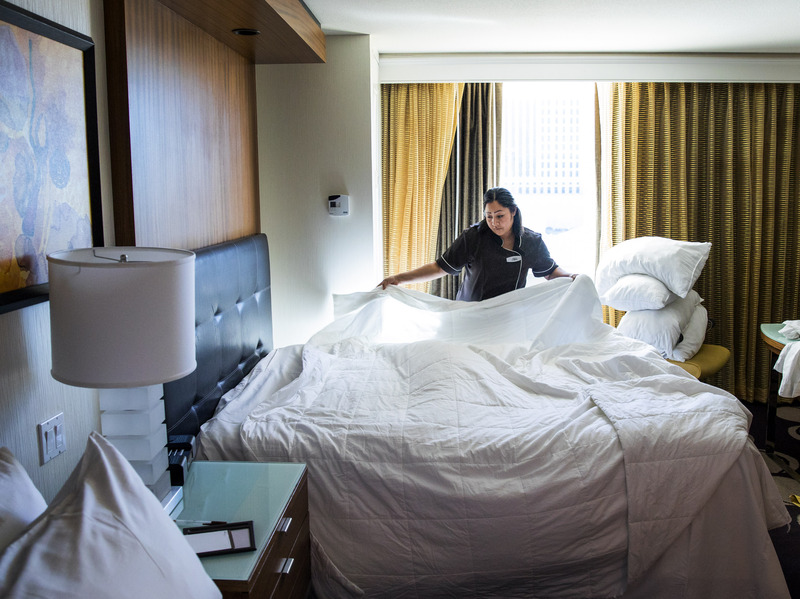 Through the Housekeeping Olympics held each year in Las Vegas, workers who are mostly behind the scenes have the chance to show off their skills, bond with coworkers, and participate in cleaning and skills competitions. 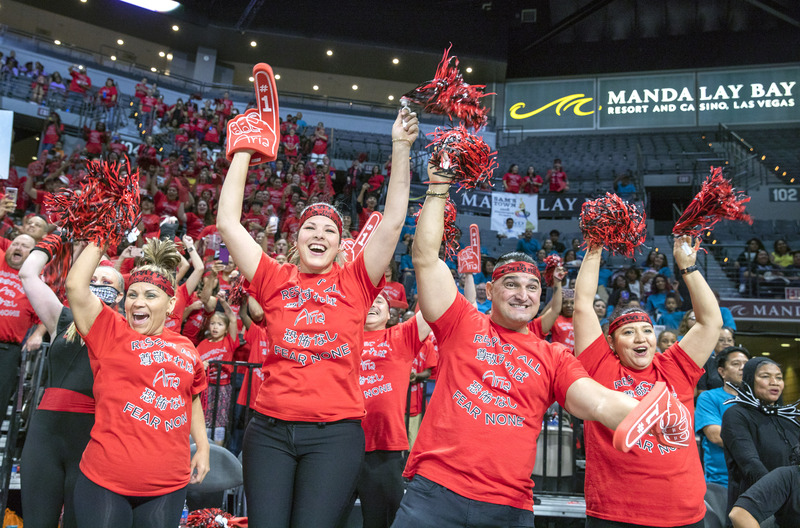 Representatives of the Las Vegas chapter of The International Executive Housekeeping Association, in conjunction with MGM Resorts International, held the 29th annual event last week at the Mandalay Bay Events Center. But the challenges housekeepers face every day go beyond serving guests and maintaining the cleanliness of the rooms on a tight timeframe. They can be vulnerable to sexual harassment or discrimination by guests, which has prompted the hotel industry to implement new safety precautions in the past year. 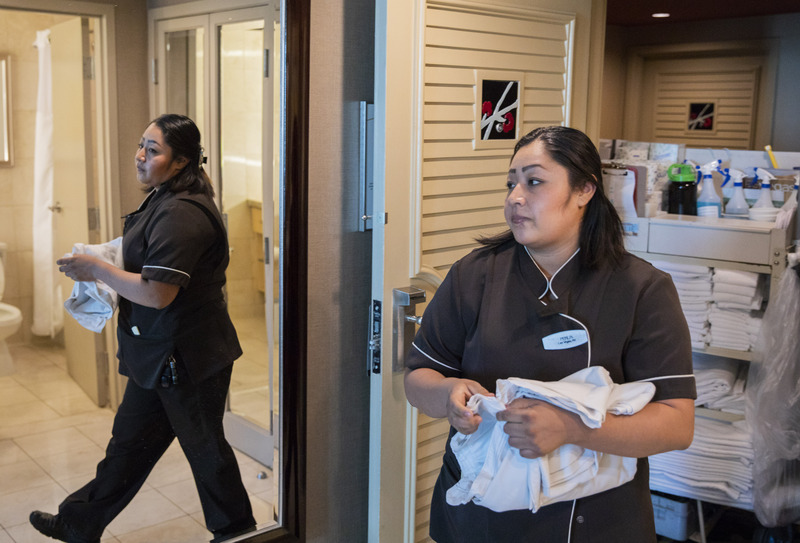 The Nevada Independent en Español spent time on the job with Perla Padilla, a housekeeper at the Mirage Hotel, on the eve of the Housekeeping Olympics to get a sense of her work and what the competition means to her. 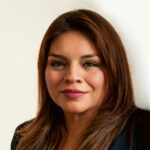 Born in Mexico City, Padilla said she arrived in Las Vegas when she was 15. Her first job was at a pizza parlor, and she started in hotel housekeeping three years later. A mother of four children, Padilla said her day starts at 6 a.m., when she takes her two oldest children — ages 4 and 11 — to school and drops off her youngest children — a 2-month old and 3-year-old — at daycare. Upon arrival at work, she receives her room schedule and then prepares her tools to complete the 15 required “credits” for the day (normal rooms are considered one credit, while suites can count for multiple credits). While she races against the clock to finish making a bed, Padilla said that her health hasn’t suffered so far in spite of the physical demands of the job. “So far, thank God, we have been fine and nothing hurts,” said Padilla, who has been at the Mirage for eight years and in the housekeeping profession for 12. Although Padilla believes her work is valued and well paid, she said there are guests who are not satisfied with the work housekeepers do — but most do thank them, treat them well, and appreciate them. Housekeeping carries risks — a reality acknowledged in union contract negotiations this year. Earlier this year, the Culinary Union released a survey of more than 10,000 Las Vegas casino workers indicating that 72 percent of drink servers and 53 percent of the housekeepers surveyed said that “a customer had done something that made them feel uncomfortable or unsafe.” In addition, 59 percent of servers and 27 percent of housekeepers reported having been victims of sexual harassment by guests, managers, or others. A housekeeper who spoke to The Nevada Independent en Español on condition of anonymity recounted a recent incident she experienced. For cases like this, Culinary Union leaders have emphasized the importance of implementing a device that allows workers to communicate directly with security departments. MGM Resorts International has since decided to implement so-called “panic buttons” at all MGM properties. “It’s an important tool that allows us to be more proactive to ensure the safety of employees; and we’re committed to using technology and other measures to keep guests and employees safe,” MGM spokeswoman Callie Driehorst said in a statement. Padilla said she has the panic button on the key she carries with her. Although she said she hasn’t experienced any harassment situations, she has heard stories from co-workers. Padilla, along with hundreds of attendees and industry colleagues, last week gathered at the event that every year celebrates their contributions to the world of hospitality in Las Vegas. Accompanied by her four children, she glanced from afar at the beds located in the middle of the arena. Padilla took two months to prepare for the bed-making competition, but said she officially began preparing as soon as she started working at The Mirage several years ago. 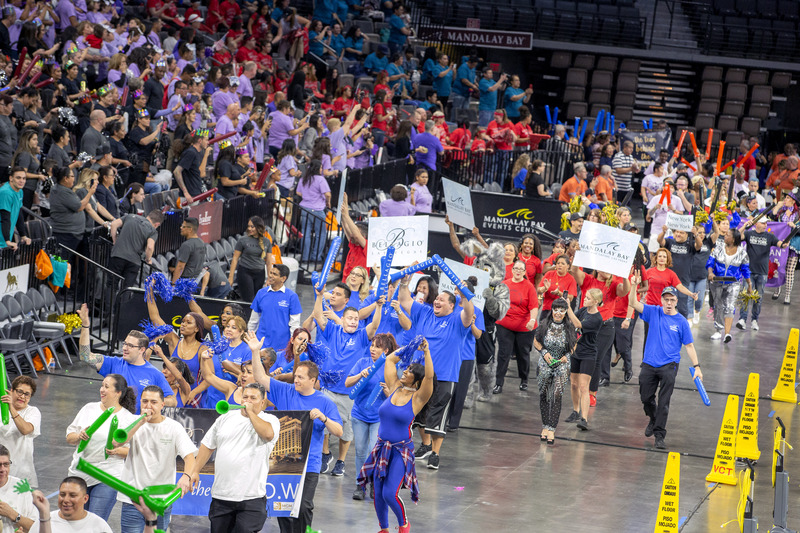 The clock struck six when Healey and co-emcee Monica Jackson, a former news anchor, welcomed 15 teams created by hotels owned by MGM Resorts International, as well as from Sam’s Town, the Venetian, the Cosmopolitan and Waldorf Astoria hotels. Team members — some with face makeup and medieval costumes — took their positions to participate in the first race: making beds. 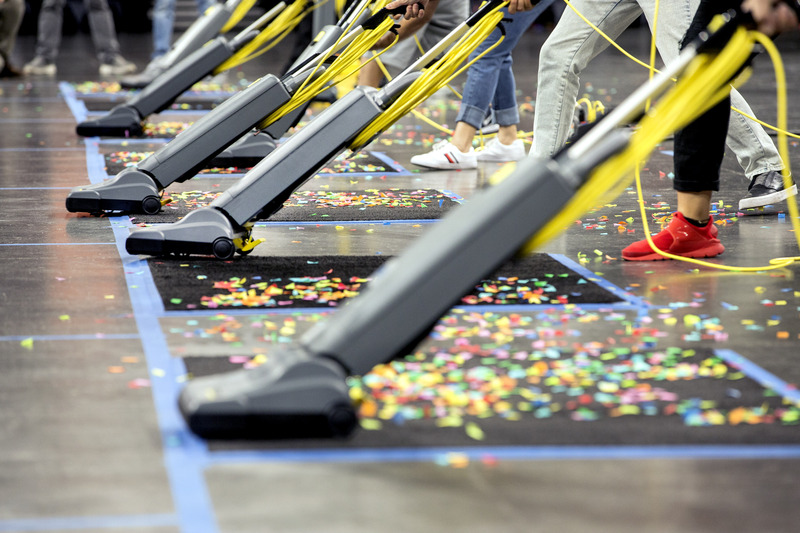 Next in line was the vacuum competition, where participants had to clean a piece of carpet full of confetti in the shortest possible time. It was easy for Arturo Ramirez, a veteran of the housekeeping department at Excalibur. Ramirez, who has spent nearly 28 years at the hotel and currently works as a houseman, said he only had three days to practice for this challenge. An energetic Charles Smith, a housekeeping coordinator at the Cosmopolitan hotel, managed to land four rolls of toilet paper in a trash can with a hole cut out of the lid, a challenge that wasn’t easy as it required an accurate aim. “I have been working eight years for Cosmo, and this is my second Olympics. What I like most about my job is the atmosphere and, above all, the people who I work with every day,” Smith said. The Mirage took first place in the overall competition for the second year, while the MGM Grand team took second place and Aria hotel and casino came in third. Executives framed it as a chance to recognize the little-discussed army of workers that keeps Nevada’s dominant industry humming. MGM Resorts International has donated to The Nevada Independent. You can view the complete list of donors here.